The easiest but effective way you can try to get off iOS 11 “verifying update” stuck issue on iPhone is press the power button to lock your device and then wake it up. Once that is done, the process needs to be repeated several times until the problem disappears. On an iPhone 6s and earlier: Press and hold both the Sleep/Wake and Home buttons for at least ten seconds, until you see the Apple logo. If the method 1 and 2 are not working, and you are unwilling to restore your device for fear of data loss, you can try an alternative way to fix this issue–using a iPhone repair tool, like Tenorshare ReiBoot, which provides a FREE solution to fix various kinds of iPhone stuck issues, including stuck in recovery mode, verifying update, DFU mode or restart loop etc. within a couple clicks. 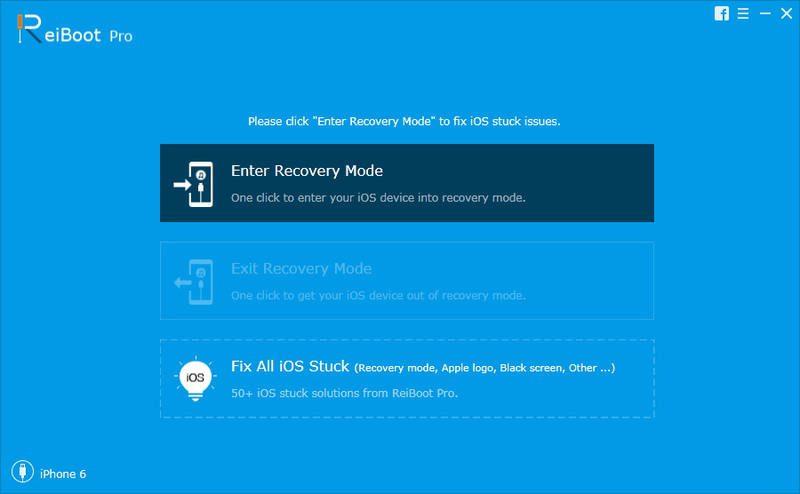 Connect your stuck iPhone to computer whilst launch ReiBoot.As ReiBoot detects your device, Once “Enter Recovery Mode” button highlighted, click this button to start entering into recovery mode. If you have backed up your device with iTunes before updating, you can restore your device from iTunes backup to get the verifying stuck issue fixed. Step 3: Choose a backup and click Restore. We hope that these tips provided above are helpful in resolving iPhone stuck on verifying update issue during iOS 11 update. Please note that sometimes when a new iOS is released, Apple’s servers may be slow and you may have to try the update several times to get it working.